One of the greatest series of racing simulators - Need for Speed - next year will be again presented in the movie. Yesterday the film's creators decided to give us a short glimpse about how it will look like and published very dramatic Need for Speed trailer. Need for Speed movie will tell us a story about street racer Tobey, who gets out of the prison at the beginning of the film. But he didn't commit any crimes, and now he is going to revenge on the person, who is responsible for his false conviction. And of course, as we are talking about Need for Speed movie, the street race will help Tobey to take vengeance. 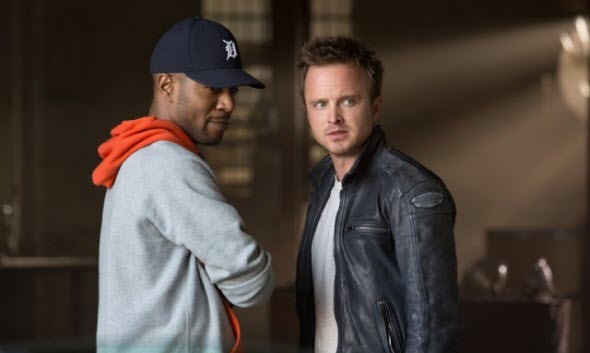 Aaron Paul starred in famous Breaking Bad TV show, is going to play the main role in the upcoming film. First Need for Speed trailer is very dramatic, and according to it the movie is going to be emotional and full of races and explosions. We advise you to watch it at first hand and write your opinion in the comments below. Need for Speed movie is going to be released in March, 2014, and the latest instalment in Need for Speed game series - Need for Speed: Rivals - is coming later this year.